Now hear this: Wellness isn’t just for well-to-do 1 percenters. Increasingly, self-care has become accessible to everyone, whether that’s through a free meditation app or a bike-share program. But there’s one aspect of health and wellness that still feels reserved for the ultra-rich — the restorative getaway. Plenty of seasoned travelers think a sunny, unplugged vacation full of healthy food, feel-good exercise, and quality hammock time is solely for folks with private-jet money. Don’t believe it. At Oyster, we know that restful, healthy getaways come in all budgets. And there are plenty of properties where you can recharge your batteries for the price of a road trip. Check out our eight favorites below. 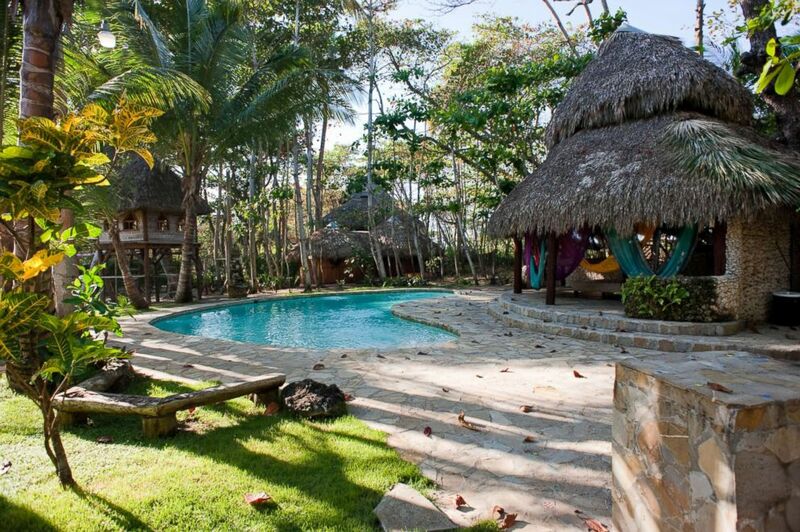 Costa Rica’s Nosara region could rival Los Angeles for number of yoga studios per capita. This surfing mecca has drawn the healthy-living set in droves, and they’re often making a beeline for The Bodhi Tree Yoga Resort. The resort offers no fewer than six yoga shalas (both open-air and air-conditioned), a modern fitness center with classes like barre and Pilates, and a restaurant and juice bar serving up organic foods. While guests can keep active with workouts and surf lessons, they can also doze by the pool or grab a hammock for the afternoon. Double and triple rooms with shared bathrooms keep rates lower than a roadside Holiday Inn. 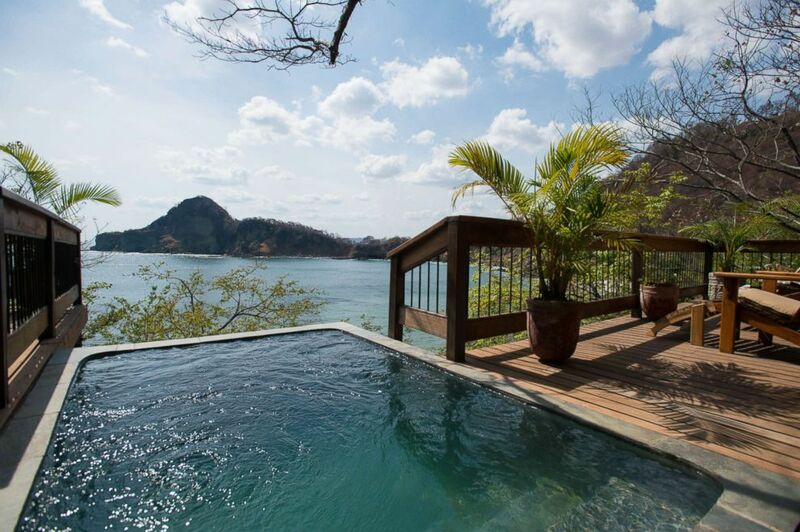 Nicaragua might not be the first destination that comes to mind when you’re hunting for a healthy getaway, but this affordable, eco-friendly resort should change that. The property itself is a “Swiss Family Robinson” fantasy complete with treetop rooms and a white sand beach. Group yoga classes, included in rates, make the most of this backdrop with a platform overlooking the coastline. Freshly squeezed juices and plant-focused dishes are served at Bromelia Restaurant, but there’s still plenty of room for indulgence, as the on-site bakery turns out banana bread and cinnamon rolls. Guests can also treat themselves to lavish spa treatments such as a scrub made from local cocoa beans, yogurt and honey. Rates are inexpensive enough that a private studio is less than the average airport hotel. Parked on one of the Dominican Republic’s best beaches, Natura Cabana would be a restorative getaway just for its location alone. But combined with outstanding fresh food, regular yoga classes, and a fantastic spa, it’s hard to top. Guests can either get active — rolling out their yoga mats in the open-air pavilion, horseback riding on trails, or trekking to waterfalls — or they can nap on the beach or wander down garden paths. Both camps fuel up on dishes like airy pancakes and local coffee for breakfast and ceviche or sandwiches for lunch and dinner. Every room here comes decked out with a hammock or swing, and rates are regularly below the $200 mark. 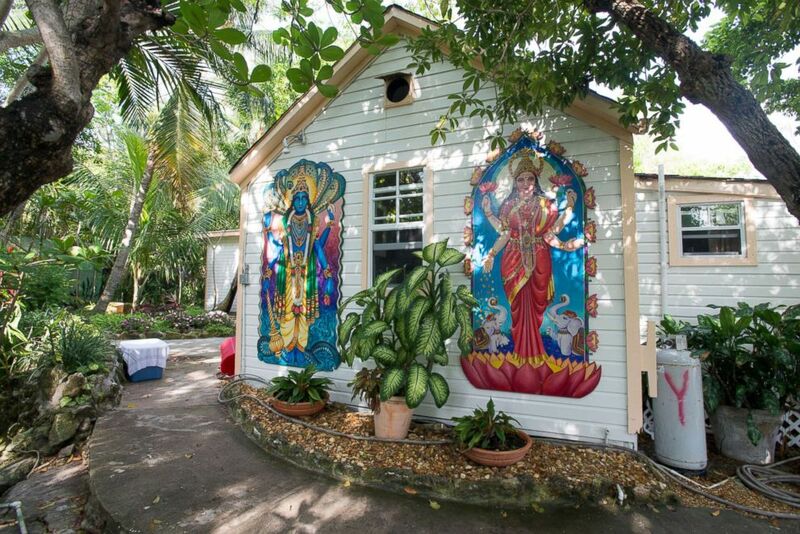 Sivananda Ashram is the real deal — an old-school retreat with 5:30 a.m. wake-up calls so guests can gather to focus on meditation, chanting, breathing, and (of course) yoga poses. And that’s perfect for travelers looking for a serious, structured reboot. For them, Sivananda’s program and fees can’t be beat. Guests can expect two free (mandatory) yoga classes per day, each two hours long, plus two more sessions of spiritual lessons and meditation. Lacto-vegetarian meals are also included in rates, with plenty of homemade yogurt and granola at brunch and soups and salads at dinner time. While the itinerary is rather set, there’s still time to put your toes in the sand of the property’s beach, take a dip in the pool, or book a Thai massage or other spa treatment. Rooms are basic, which translates to extra low rates, particularly in dorms that are under $100. An even cheaper option is to pitch your own tent for half the price. Tulum is tops when it comes to wellness retreats, with top resorts, top beaches, and often top prices. But that last one isn’t the case at this mid-range resort, where sunny seclusion doesn’t come with hefty nightly rates. Everything at Maya is set up for maximum relaxation. Even the grounds — with lush vegetation crisscrossed with sandy pathways and dotted with thatched-roof huts — prompt a deep exhale. Traditional temazcal saunas here give a spot to sweat out the stress, and the on-site spa doles out the usual treatments along with ones that use Mayan medicine. Yoga classes (for a fee) are held regularly, with free loaner mats and props. 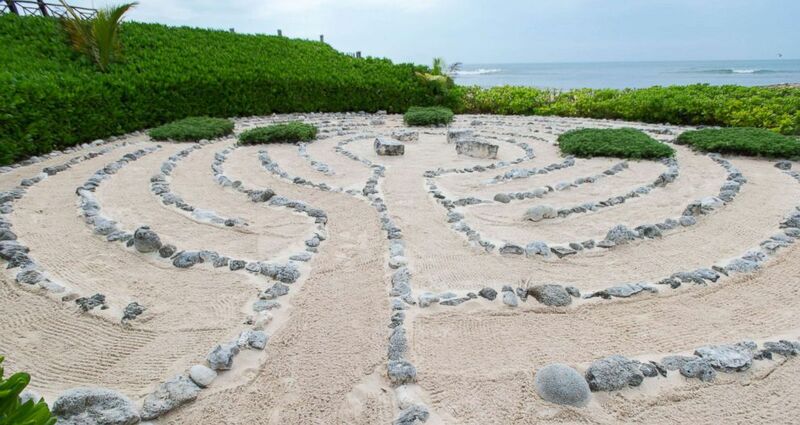 A beachside labyrinth also provides a scenic spot for walking meditation — or a striking selfie. 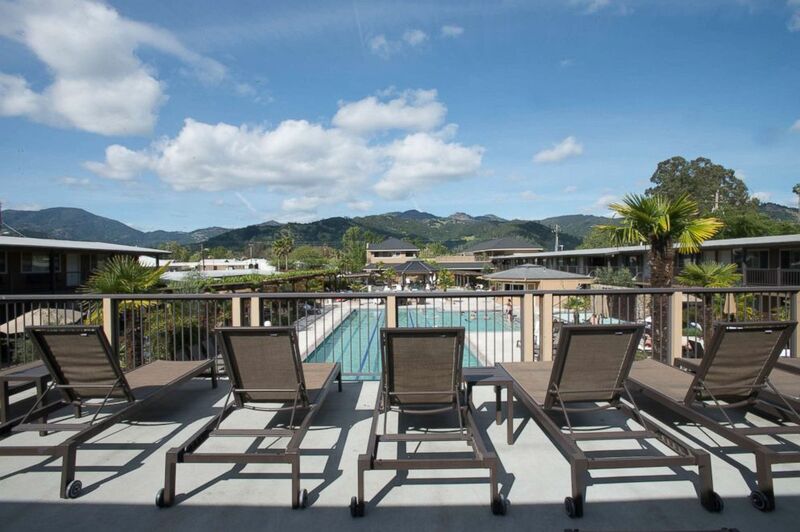 Calistoga Spa Hot Springs proves you don’t have to bust out your passport to have an affordable, restorative getaway. Travelers who want to keep things domestic can head here to plunge into four geothermal mineral pools. A humongous whirlpool housed in a glass-topped gazebo gives another spot for a relaxing soak. Apart from its aquatic perks, the property also holds a full-service spa that offers warm mud baths using local volcanic ash. Active guests can take advantage of the fitness center with yoga and Pilates classes, too. Naturally, the setting itself, in California’s wine country by the Palisade Mountains, adds another soothing element, as does the easy access to local wine. (Hey, grapes are an antioxidant.) If you’re willing to go off-season (March through May), you’ll shave off about $100 from your room rate and get more of the pool to yourself. It’s easy to spend your vacation days at Hotel Borinquen in sleepy tranquility — drifting from your personal hammock to the forested spa and back. 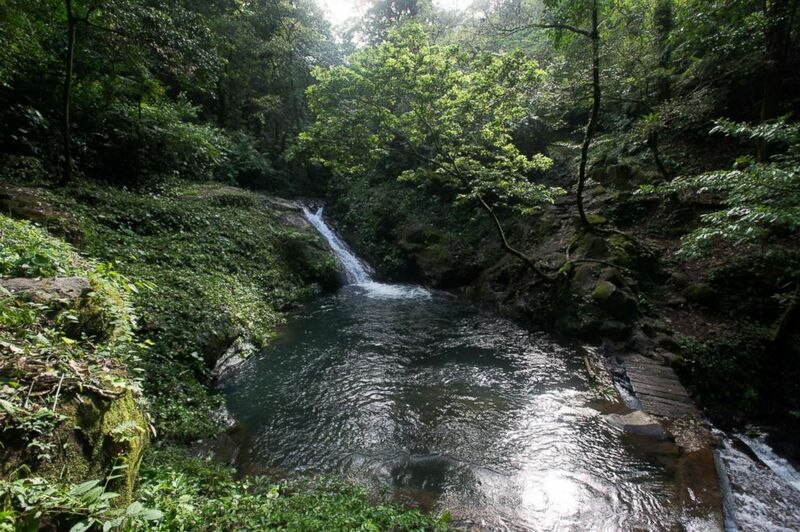 But Borinquen also appeals to travelers who prefer to unplug by reconnecting with nature. Horseback riding, zip-lining, hiking and even water tubing provide plenty of outdoor adventures. The hot springs pool on the grounds even has a natural “slide” for zooming into the warm waters, although guests are also seen relaxing here after slathering themselves in volcanic mud. Rates can be under $100 in the summer and include a full breakfast. 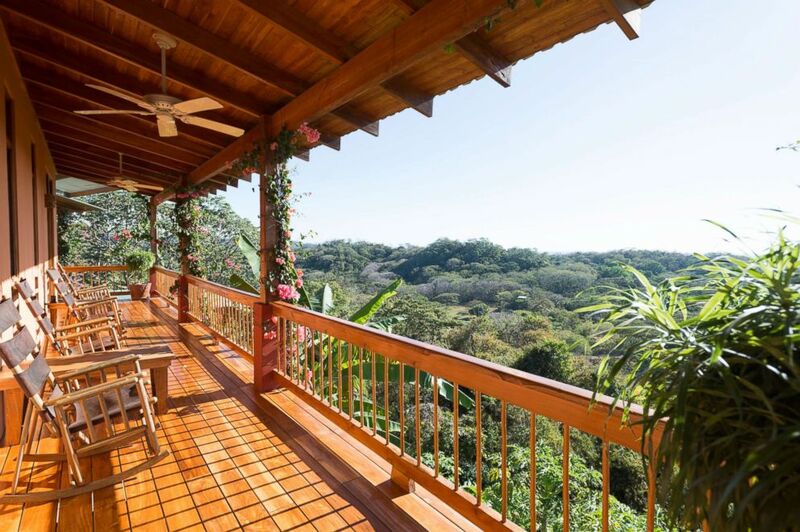 Another Nosara gem, and a worthy alternative to Bodhi Tree, this mountaintop resort has daily yoga classes and plant-powered meals included in the rates. (An on-site organic garden provides fresh herbs to top dishes.) When they’re not heading to the teakwood yoga pavilion to kick off a round of sun salutations, guests can be spotted swaying in hammocks, journaling, or indulging in massages. The surrounding terrain, a wildlife refuge, encourages unplugging — as does an absence of TVs or phones in rooms. Bunk rooms with shared bathrooms can accommodate up to four guests, keeping rates suitably low so everyone can get their “om” on.